The format for most teams will consist of a flighted round robin; each team will compete against all other teams included in the specific flight. If there are multiple flights, the winning team from each flight will advance to a single-elimination bracket (i.e. Final Rounds). Flight Sizes. In most instances, teams will be divided into flights consisting of 4 teams. There may be occasions when different flight sizes are used. CTA Twilight Districts will utilize flights of 3 teams in most instances. In divisions that have very few teams and/or flights statewide for the local league, the format may be altered at the discretion of the Championship Tournament Committee. For example, if there are only two flights in the entire state, the winning teams from each flight may advance to Districts and simply play one match to determine the winner. In all District Championships, teams should plan on having up to two matches on any of the three days. Strictly enforced 10-minute warmup before each match. NOTE: There is not a break once the warmup is over. Play should begin promptly. District Championship usually take three days to complete with round robin play the first two days and single-elimination final rounds the third day. Teams will have one to two matches per day ranging from 8am until late afternoon or evening. All players participating in District Championship events must have a USTA membership valid through the end of the event. An eligible player will have played and completed a minimum of 2 matches during the league season. More Info. Wild card teams are randomly drawn when the Championship Committee determines that a wild card team will improve the quality of the event. For USTA Adult 18 & Over, USTA Adult 40 & Over and CTA Twilight, wild cards (if drawn) will typically participate in the Flight Playoff round. More Info. In case of inclement weather, all teams must still report to the tournament desk at their scheduled site and match time, unless instructed otherwise by the USTA Colorado. Texting Service & Adult League Alerts! : We will be utilizing a texting service to communicate with captains if the need arises. In addition, an Adult League Alert! may be sent with important information, so please check your email routinely throughout the event if there are weather concerns. If necessary, the Championship Tournament Committee may make alternate plans to complete the Tournament on schedule. Such plans may include, but not limited to alternate scoring formats (short sets, pro sets and/or no-ad scoring), rescheduling match times, days and/or locations, postponing event, canceling event. All teams competing at the District Championships must complete the entire round robin. Total Team Defaults (2 out of 3 positions; or 3 out of 5 positions) during Districts will not be tolerated for any reason and will subject all players rostered on the team to penalties up to, and including suspension. In some instances, we have an odd number of flights, so we must advance a wild card team into the semi-final or quarter-final round. When this situation occurs, we must set up the playoff schedule to indicate the match times, but the program automatically advances a second place team from one flight. The actual flight from which the second place team will come from is determined after all flights in the level have completed the round robin portion of the playoff. Click here to download the procedure for 3 flight round robin. Should there be flights within the same NTRP level that do not have the same number of teams, a different procedure is used. Click here to download the addendum to the procedure that will be used in the instance of unequal numbers of teams. USTA National League Regulations. Dynamic ratings will be calculated for all Adult Division players during local league competition and at every level of championship competition below National Championships to determine if any players have reached the NTRP disqualification criteria stated in the USTA NTRP Computer Rating System Procedures. Players subject to NTRP Dynamic Disqualification will be dynamically disqualified if they reach the disqualification level three times based on all matches except retirements received. An NTRP dynamically disqualified player becomes a benchmark. In accordance with USTA National Regulations, USTA Colorado runs the dynamic calculations and produces ratings throughout the championship. Through the conclusion of the championship event, we will notify and disqualify those players that meet the criteria for NTRP disqualification and reverse scores for matches played by disqualified player. A player with a valid NTRP Computer (C) rating, or Benchmark (B) rating, or granted an Automatic Appeal (A) rating of a Computer (C) rating is not subject to a NTRP grievance. Any other player is subject to a NTRP grievance. Championship Competition: A NTRP grievance shall be filed in writing with the duly appointed site director, or designee, having jurisdiction. A NTRP grievance shall be handled by the player's Section League Grievance Committee. The Intermountain Section will adjudicate NTRP grievances after the championship event. 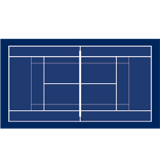 See USTA National League Regulations for more information.